From the Introduction to our ebook collection "Project Hi-Psi"
Frank Riley (1915-1996) wrote such a meager number of science fiction stories (seven novelettes and one novel in collaboration with Mark Clifton) over such a short period of time (four years from 1954 to 1958) that it would seem unlikely he could have had any significant impact on the sf field at all. 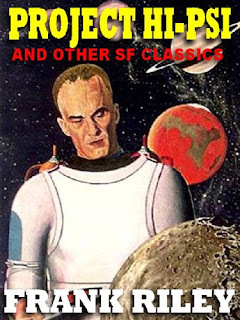 But, that one novel, They'd Rather Be Right (serialized in 1954 in Astounding, the most golden of all Golden Age sf pulps), won the Hugo Award for the Best Science Fiction Novel of the Year, and the modest handful of stories he produced helped set the pace for his fellow writers for years to come. Riley's first solo story, "The Cyber and Justice Holmes," was immediately selected for the annual "best science fiction of the year" anthology. The editors of the digest magazine, If: Worlds of Science Fiction, in which all his solo stories appeared, noted Riley's exceptional gifts, when they wrote in the August 1956 issue, where his novella "Project Hi-Psi" was appearing, that while he had been "writing science fiction for only two and a half years, his stuff has the maturity and easy-reading quality of the experienced craftsman." Frank Riley had learned that craftsmanship the hard way, putting in fifteen years as a newspaper journalist and magazine writer before turning to science fiction. Riley said that he preferred to write science fiction "because it offers challenge and opportunity." At the time the above was written, Frank Riley reported that he had just "completed a new short novel, 'Abbr.,' which extrapolates the digest trend in our current culture." He also told If's editors that "the next two items on the fire are short stories, one of which, 'Eddie,' is based on a rather amazing incident in a CAA investigation of a recent air crash; the other is 'A Question of Identity,' based on a legal situation that may be facing our courts in another dozen years or so." Sadly, those three stories, plus the above mentioned "Cyber and Justice Holmes" and "Project Hi-Psi," along with two others, "Bright Islands" and "The Executioner," seven in all, represent Frank Riley's total output of science fiction stories – which is presented here in chronological order. For all his excitement over the "challenge and opportunity" the sf field offered, Riley was about to receive an offer whose challenges and opportunities eclipsed for all time those of fiction writing, however rewarding. Soon Frank would be called by the Los Angeles Times, which would offer him a position as travel writer, whose job, accompanied by his brilliant wife Elfriede, would be to visit all the most fascinating and beautiful places in the world and bend his literary talents to reporting on and describing them. The result would be hundreds of prize-winning columns and several fascinating books of travel reminiscences, co-authored with Elfriede. But it also meant that a mere seven novelettes by this Hugo Award winning author would be all the science fiction by Frank Riley we would ever have. Travel writing's gain was truly the sf field's loss. One that, with his passing, can now never be repaired. Here's a rollicking space opera/pulp classic like no other! Check out The Eye Of The World and you'll see why Don Wilcox is considered to be a master of the genre. "Magnificant! It's got everything, humor excitement, science fiction, and plenty of suspense." W. Paul Ganley, Weirdbook. Here is a thrilling tale of A lost sorld of futuristic marvels, a lost legion of American soldiers, a lost soul in search of redemption, a lost alien determined to conquer the world or destroy it - and a love that defied death! The Eye of the World is a mind-bending "thought-variant" novel from the 1940s intended to change the way its readers viewed reality forever! From the text: "What Allan was seeing was a gigantic room, nearly two miles high. And there were clouds of orange fire rolling out of the top of a volcano-like cone. It was the cone itself that struck Allan with awe. It must have been two miles in diameter – yet the room was not filled by it. The great loop of the glide-walk moving around it gave it the effect of slowly turning. It was strangely illuminated, and over its perfectly symmetrical surface Allan could see hundreds – yes, thousands of patches of color ... a glass-like surface composed of small, sharply defined squares. Each square, only about three by three inches, contained a picture. Sixteen squares to the square foot – and how many thousands of square feet? There must be billions of tiny pictures set side by side over this surface – each picture was a person – a face. These pictures were in motion. Was it an actual image of persons in other lands – images that revealed their actions and expressions of this very moment? And then he was sure that all this spectacle before his eyes was happening now. He took a few steps upward. He was walking on faces – illuminated, tinted photographs. The expressions of the faces were quite unaffected by the contact of his heel plates. He caught his breath with sharpened interest. A billion? two billion? Was it possible that there was room here for everyone? Some squares were in darkness ... purple and black – and the deed was murder! Scores of different murders were being pulled off right before his eyes. Some were American, others were murders in India, on some desert island, on the snow field that might have been Siberia. Although the pictures revealed an amazing variety of bloody deeds, they showed up as a group, dominated by a single color-tone. What was the meaning of such a colossal mirror, hidden below these lost mountains of Africa?" 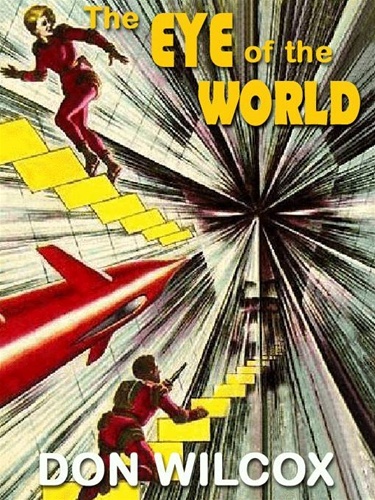 Rog Phillips' Eye of the World is a never-reprinted, lost masterpiece of pulp science fiction that award-winning author, editor and critic Terry Carr hailed as one of the "standout" stories of the year after it first appeared in the January 1949 issue of Fantastic Adventures. From the pages of the best of the pulps comes another tale in the Johnny Mayhem saga by C. H. Thames: World Beyond Pluto [The Adventures of Johnny Mayhem #4]! If you've enjoyed Johnny's previous adventures then this is a must-have book! This ebook contains the final three suspense-filled adventures in the "lives" of Johnny Mayhem, the fabulous cosmic trouble-shooter. Mayhem was the most popular character appearing in the American science fiction magazines of the mid- to late-1950s. His body reconstructed by aliens after a crash landing, Mayhem is literally "the man who saved the universe" – and the price he pays for it is a terrible one, for Mayhem's consciousness can move from body to body, but he can inhabit each body only for 30 days, or he and it will die. So Johnny becomes a galactic trouble-shooter who must face the greatest dangers that threaten humanity and triumph over them – or perish. The first story, "A Coward Named Mayhem," sends him into space on a brave man's mission. But how can he succeed—trapped as he is in the body of a man with a coward's reactions? The second, "Think Yourself to Death," involves Mayhem in a gender-change, transplanted tin a female body, and adventure on a planet of Ophiuchus. 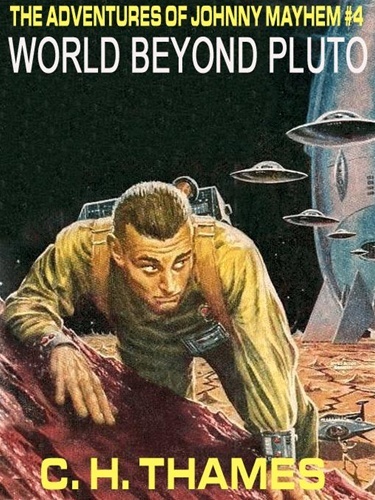 In Johnny's final adventure ever, "World Beyond Pluto," Johnny is off to Partap's Planet, whose stubborn residents resist evacuation when their sun is about to go nova. "A full range of paranormal experiences from vampires to ghosts and time travel with separated lovers found. I couldn’t put the book down after just one story." -Sultry Summers, author of StarTyger. Includes: Always and Forever, A Tip for Angie, Haunting Cordelia, Lady in Black, Moon Dance, Not A-Musing, Spider's Web, Temper, Temper..., The Hunt, The Vaughn Legacy, and Wizards, Dragons, Popcorn Strings. Marissa St. James is a Silver Rose Award Finalist for Best Historical Romance Novel. This is truly excellent: a wonderful trailer for Michael Swanson's brand new chilling horror thriller, Angel Baby! The body of an angelic child washes up on a beach. A grisly discovery made 100 years aftr the great Galveston storm of 1900. An elderly woman is found dead in her home. Baffled police enlist an ambitious D. A. . A pair of ghost hunters on the trail of a demonic presence discover it has a strange attraction to the D.A. The presence entangles the D.A. and the ghost hunters in a world of supernatural terror that links past with present. 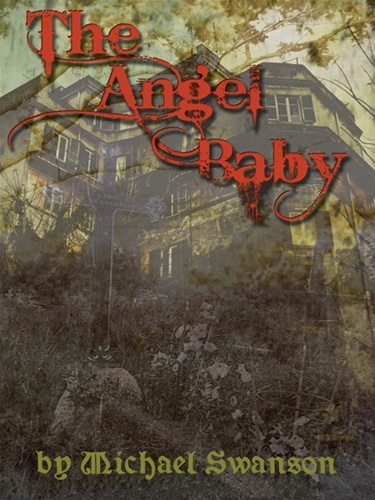 Embroiled in a supernatural struggle for survival, they must free themselves of an evil presence lest they become the next victims of The Angel Baby. Will they survive? Listen to Classic Science Fiction and Fantasy Author Stuart J. Byrne! Click the PLAY button on the right to hear a brief interview/conversation between Stuart J. Byrne and FuturesPast Editions Publisher Jean Marie Stine. 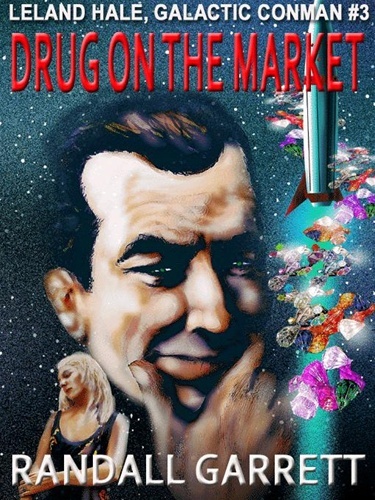 They discuss the author's classic Science Fiction & Fantasy works The Michael Flannigan Trilogy, the "Starman" series of novels and touch briefly upon Mr. Byrne's writing for vintage television series Men Into Space. Stuart J. Byrne is one of the most distinguished pulp writers of science fiction's golden age. 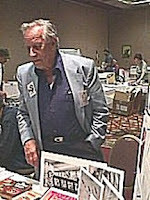 Byrne has published over 3 million words, mostly cover features for science fiction pulps like"Amazing Stories", "Other Worlds", "Science Stories", and "Imagination." Stories like "Last Days of Thronas", "Beyond the Darkness", "Martian Honeymoon", "Children of the Chronotron", "The Land Beyond the Lens", and "Prometheus II", "Power Metal", etc. won him plaudits from readers and his fellow authors alike. 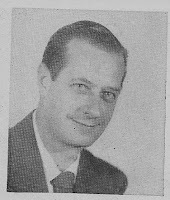 With the death of the pulps he switched to paperbacks writing genre bestsellers including the Star Man series, "Thundar - Man of Two Worlds", "Hoaxbreaker", and "Star Quest". Byrne's motion picture and television credits range from classic tv series like "Men Into Space" to feature films like "The Deserter" and "The Doomsday Machine". Byrne holds a B.A. and M.A., with courses covering the gamut of computerology, electronics, astronomy, and management, and is a former member of SFWA and WGAW. He is also a specialist in international management, system analysis, multi-country system installation, large scale procurement and inventory control management. Multi-lingual (Spanish, German – translator), he has lived abroad, South America and Guam, and traveled for Litton Industries to NATO bases in Europe (as Principal Engineering Writer and proposal survey rep.). 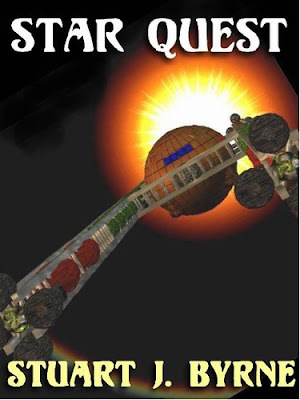 The ebook edition of his masterwork Star Quest was a #1 science fiction bestseller for over a month and remained on the ebook bestseller lists for more than three months! Music of the Spheres & Other Science Fiction Classics, the first-ever collection of his pulp short stories, and new editions of his never-before-reprinted pulp novels, have all been sf bestsellers in ebook format.